Important: The RénoVert tax credit replaced the LogiRénov Home Renovation Tax Credit for the 2016 and 2017 tax years. The tax credit has been extended to March 31, 2018 for all recognized work other than the construction, renovation, modification or rebuilding of a system for the discharge, collection and disposal of waste water, toilet effluents, or grey water in accordance with the requirements set out in the Regulation respecting waste water disposal systems for isolated dwellings. The RénoVert tax credit lets you invest in recognized eco-friendly home renovation work that has a positive environmental impact or improves your home’s energy efficiency. With this tax credit, you can claim an amount equal to 20% of the eligible expenses you paid that exceeds $2,500, up to a maximum tax credit of $10,000 per home. Note: The maximum credit amount is combined for the 2016, 2017, and 2018 tax years. So if you claimed an amount in 2016 and 2017, you will have to deduct that amount from the maximum amount, to determine how much you have left to claim for the 2018 tax year. Note: A garage might also be eligible, provided it shares all or part of one wall with the home or if its roof is connected to the home. If you co-own your home (with a spouse or common-law partner, or another family member), you can split the tax credit with the other co-owners, as long as it doesn’t exceed the maximum tax credit amount. What expenses qualify for recognized eco-friendly home renovation work? Depending on the type of home you own (single-family, condominium, etc.) there might be additional rules on claiming certain expenses. For example, if you own a condo and you’re claiming this credit for expenses paid by the syndicate of co-owners, you can only claim the part of the expenses related to your condo unit. Refer to Revenu Québec’s website for a list of these special cases. Under the OTHER DEDUCTIONS heading, select the checkbox labelled RénoVert tax credit (TP-1029.RV-V), then click Continue. 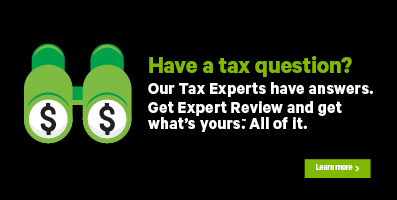 When you arrive at the RénoVert tax credit page, enter your information into the tax software. Note: If you renovated more than one home, you’ll need to complete a separate TP-1029.RV: RénoVert tax credit form for each home. To do so, after you enter your information on the TP-1029.RV page in the tax software, click Continue. You can complete another TP-1029.RV page by clicking the +Add another home button. What year was this home built? - If your home was built over several years, enter the year the construction was completed. Remember, in order to qualify for this credit, your home’s construction must have been completed before January 1, 2017. Is your home an intergenerational house? - Generally, an intergenerational house is a single-family home in which an independent dwelling has been created (such as a basement apartment), that allows several generations of the same family to live together while maintaining their privacy. If you own an intergenerational house and it’s your principal residence, you can elect to consider each independent dwelling within the house as a single-family home. For the purposes of the tax credit, this means each dwelling will be considered an eligible dwelling. Complete this section if you own your home with someone else (such as your spouse or common-law partner or another family member). If you co-own the home with a spouse, both of you must complete this page in each of your returns and include each other’s details in this section. You’ll also need to enter the amount each of you are claiming and have claimed in the Additional information section. Remember, you can split the tax credit amount with the other co-owners, as long as it doesn’t exceed the maximum tax credit amount. Before you claim this tax credit, you need to have a completed Certificate of Compliance With Energy and Environmental Standards (TP-1029.RV.A-V) from each contractor you hired for the renovation. The certificate confirms that the renovation work complies with recognized energy and environmental standards. Additionally, Section 3.1 of the certificate lists the code(s) for the type of work that was done to your home, which you’ll need to complete the TP-1029.RV page. On the other hand, if your home is a unit in a condominium building and your syndicate of co-owners paid the renovation expenses, you will need a completed and signed copy of the Information Return: RénoVert Tax Credit (TP-1029.RV.D-V) from your syndicate of co-owners before completing this form. If, at the time of filing your 2017 tax return, you haven’t yet received the completed TP-1029.RV.A-V or the TP-1029.RV.D-V you won’t be able claim the tax credit. However, once you do receive the applicable form from your contractor or syndicate of co-owners, you can request Revenu Québec to make an adjustment to your 2017 tax return to claim the credit. QST registration number - You can find the QST number on the receipt you received when you bought supplies. Usually, the QST number is found under the GST number. If your receipt doesn’t show the supplier’s QST number, contact the supplier. Codes related to the renovation projects that you bought supplies and other products for - If you bought supplies and other products for the renovation, enter the related codes for the work done in the designated space on the TP-1029.RV. How much financial assistance did you receive (or expect to receive) for these renovations (other than what’s granted under the Rénoclimat program)? – Enter the amount of any government assistance (except assistance received under the Rénoclimat program), non-government assistance or other financial assistance you received, including indemnities paid under an insurance contract, for your renovations. How much did you pay for permits after March 17, 2017? – Remember, to claim this tax credit, your renovation expenses, including the cost of permits, must have been paid after March 17, 2017. How much are the other owners of this home claiming for the RénoVert credit on line 462 (other credits) in their 2017 Québec returns? – If you co-own your home, enter the total amount of the tax credit the other co-owners are claiming on their return. This amount is shown on line 462 (point 32) of the co-owner's 2017 Québec return. What's the amount on line 103 (eligible expenses) in your 2016 TP-1029.RV-V form? – You can find the eligible expenses you claimed last year on line 103 under part 4 of your 2016 TP-1029.RV-V form. How much did you claim for this credit on line 462 (other credits) in your 2016 Québec return? – Your 2016 Rénovert tax credit amount is shown on line 462 (point 32) of your 2016 Québec return. You can also find this amount on line 109 under part 4 of your 2016 TP-1029.RV-V form. How much did the other owners of this home claim for this credit on line 462 (other credits) in their 2016 Québec returns? – If you co-own your home, enter the total amount of the tax credit all the other co-owners claimed on their 2016 Québec return. This amount is shown on line 462 (point 32) of the co-owners’ 2016 Québec return.